Your store. 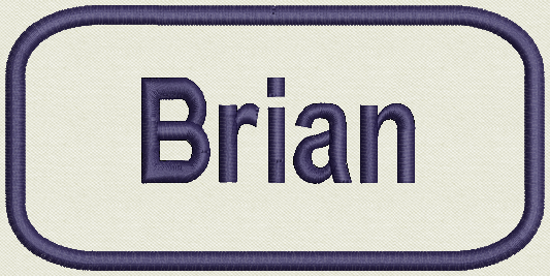 Custom Embroidered Name Patch 5" x 1"
Custom Embroidered Name Tag, Patch 3" x 1.75"
No need to purchase hundreds at a time, purchase as many as you need...1 or more. Select colors, fonts, type lettering in box and then add to cart. Any questions? Please feel free to contact us. We usually ship within 3 business days of your order date.